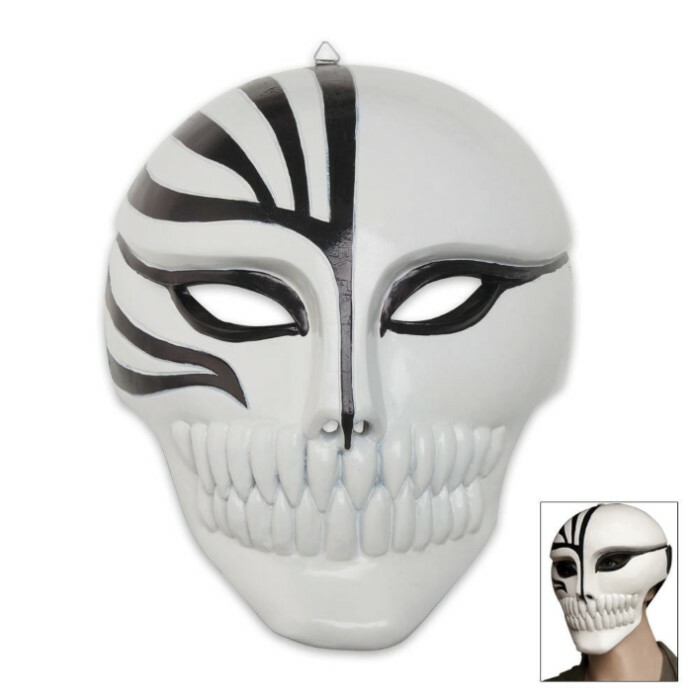 Black and White Warrior Mask | BUDK.com - Knives & Swords At The Lowest Prices! This full-face mask is constructed of resin and features painted details. This mask can be adjusted to fit most with the Velcro strap in the back. 9" x 11 1/2"